If you have invested in a timeshare and believe that during the sales presentation you were deceived into the purchase, there are several factors to consider before undergoing the litigation process. For many years consumers were not successful in their lawsuits against timeshare companies because of the expertise and ability of these companies to find loopholes around consumer law to protect their less than honest sales pitches. Times are changing though and with two public lawsuits that ended favorably for individuals having bought into timeshares under false pretenses; the odds of winning a litigation proceeding against timeshare companies are higher now than ever. Still, there are many factors to consider before undergoing the potentially costly endeavor of a lawsuit against timeshare companies. Learn about two critical cases that ended positively for the consumer, understand the basic process of undergoing a class action lawsuit, and some potential deterrents to moving in this direction. A class action lawsuit involves one single case filed by a group of individuals who have all experienced harm by the same defendant: It is the consolidation of their collective experience with the defendant, often a corporation or company. The plaintiff, in this case a group of individuals who have all commonly been misled during timeshare presentations and where coercion was used to fraudulently close the sale. To file a class action lawsuit you must have several plaintiffs that have sustained similar injury, including financial, by the same defendant. In general, prosecuting attorneys involved in class action lawsuits will receive payment for legal work upon conclusion of a victorious case. As the number of individuals filing a collective case against the large companies is high usually the final payment to the plaintiffs is high as well, provided they win the case. In terms of timeshare related lawsuits, you will need to organize a group of individuals who have purchased with the same company and who also can relate a very similar testimony as to how they were deceived into purchasing their timeshare. The more individuals that can validate the shared experience, the better the odds are of winning the case. Most class action lawsuits do not go to trial and are dealt with quietly outside of court. Most large companies do not want the public to be aware of ongoing court cases against them and will attempt to settle out of court. The most challenging obstacle with class action lawsuits against timeshare companies is that experience varies from one consumer to another, meaning what you were promised during a closing presentation may be quite different from your neighbor depending on what the presenter perceived to be important to you. Further, much of what goes on during the closing period of timeshare presentations does not get written down. Weary, after many hours in a timeshare presentation, consumers may not be diligent about getting all of the promises in writing. 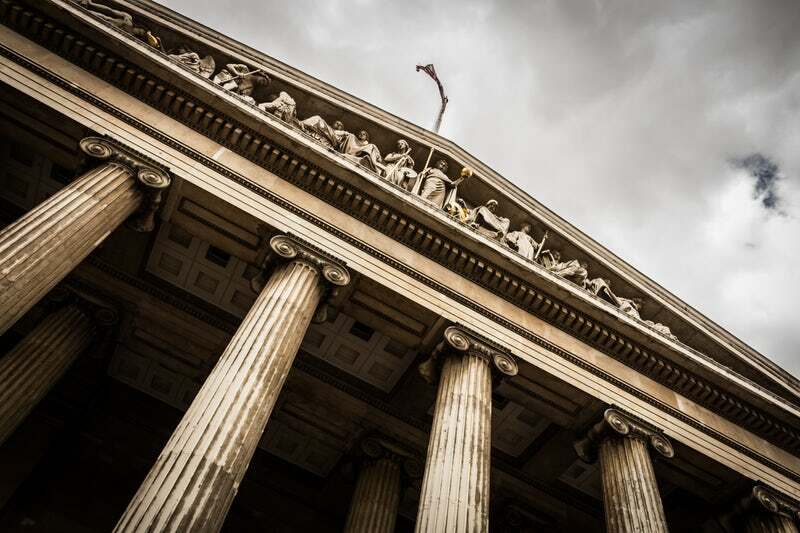 If you are able to organize a large group of owners, with a shared experience, and willing to testify through an affidavit then you may be well on your way to developing a viable class action case against the timeshare company. If your experience was personal to you, then you will have to move through the personal litigation (any legal proceeding) on your own. This is challenging because most lawyers will charge legal fees up front asking for a retainer, of a fairly large sum. 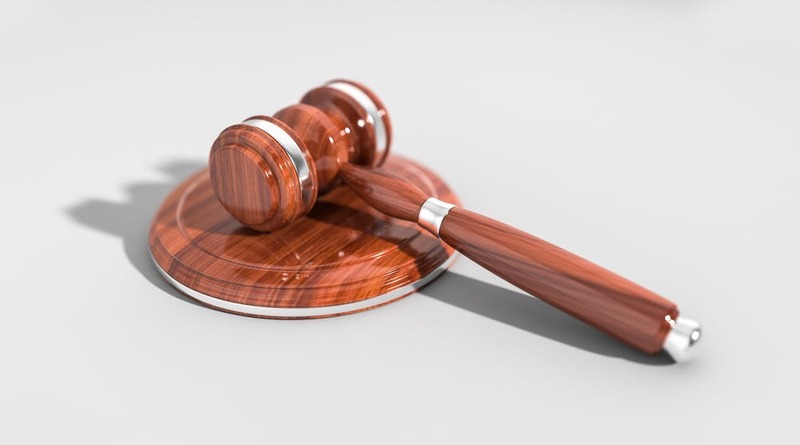 There was recently a personal litigation case that was very successful in Tennessee where the plaintiff did win against a large timeshare company. After reviewing the case studies below you will need to decide for yourself if you want to proceed with legal action and if so, what course of action would be better for you: class action lawsuit or personal litigation? Wyndham is the largest publicly owned timeshare chain in the world, they paid the toll of deceptive sales tactics on May 29th, 2015 that cost them nearly 1 million dollars in restitution to the timeshare owners as well as to the state of Wisconsin. The court-approved settlement was finalized after a long period of investigation by the Wisconsin regulators of consumer complaints filed by the timeshare owners of Westgate. The owners of the timeshare experienced sales tactics during long drawn out sales presentations that resulted in them buying into timeshares under false pretenses. This is common for many individuals who have fallen prey to the predatory sales pitches of large timeshare companies. If you own a timeshare and feel that you were deceptively sold a timeshare then you will want to consider organizing a large group of owners with a similar experience to form a class action lawsuit against the resort or company that sold you your timeshare. Here is how the case ended for Wyndham and the timeshare owners in Wisconsin: The Wyndham timeshare chain paid $665, 404 in restitution to 29 owners according to the Wisconsin Department of Agriculture, Trade and Consumer Protection (DATCP). Wyndham not only agreed to pay the restitution fee they also agreed to obliterate the ownership agreements with the plaintiffs. This meant that some of the owners walked away with restitution payments ranging individually from $3,259 to $84,698 and no further binding contracts of ownership for their timeshares. The Wyndham Vacation Ownership was also mandated to pay the state of Wisconsin $99, 520 in fines and $62, 702 in legal fees. Despite this statement, Wyndham continues to have class action suits filed against them by timeshare owners. There are currently 1,657 ongoing complaints against them by timeshare owners, 1,117 of the complaints are focused on misleading and deceptive sales tactics. The state of New York has preemptively changed their laws regarding the sales of timeshares to further protect consumers from fraudulent activity. It is very rare for timeshare lawsuits to ever make it to trial, but in Tennessee, a couple, Nathan and Patricia Overton went all the way as they fought for justice against the timeshare company that coaxed them into an unwanted timeshare. The court found that the Overton’s were deliberately misled and lied to about their timeshare purchase at a Gatlinburg resort owned by Westgate resorts. This case is noteworthy and a potential game changer for the timeshare industry. Many timeshare companies are sued, but the case never makes it to court and is kept under quiet wraps so as not to alter public opinion. The case in Tennessee was high profile and now stands as testimony to many people who have been fraudulently sold timeshares under deceptive terms. Westgate is a 1.4 billion dollar company and were sued, not by class action but by a couple who experienced the manipulative sales tactics of timeshare presenters that so many timeshare owners have experienced. The Overton’s were vacationing in Gatlinburg in 2011 when they were invited to a timeshare presentation that promised a free gift and that it would last only 90 minutes. In fact, the timeshare presentation lasted eight hours and the Overton’s were promised a fixed week in December, in a fixed unit of their preference. Weary from the eight-hour presentation they bought into the timeshare expecting a particular unit during a particular week in December. Not surprisingly, as it turned out they signed an agreement to a floating week and a floating unit. They were never able to vacation during their desired time frame and were not given the unit they thought they agreed to. Does any of this sound familiar? Barring a few details this is very common for many individuals and families who have bought into timeshares. This verdict has paved the way for many individuals deciding to move forward with lawsuits against timeshare companies that have misrepresented the contract of timeshare ownership. Although the Overton’s case was not a class action lawsuit, the litigation process was successful and brought public attention to the dubious practices of timeshare sales. Ultimately, you will need to decide for yourself if it is better to follow a class action lawsuit and organize other timeshare owners with a shared experience to yours or follow through with a personal lawsuit against the company. Remember that a personal lawsuit will most likely cost you a hefty retainer fee upfront to your chosen attorney. After weighing out your options and considering the two examples above you will be able to make a choice that serves your needs best. At a human level it can be difficult to understand why a sales presenter would endorse deceptive and manipulative practices to get you to buy a timeshare. Most of the presenters are not paid unless they close the sale and receive a commission, in which case the profession can be lucrative. In short, you are the direct meal ticket to this presenter. This is why the push is so hard and also why deception is so ramped in this industry. This methodology puts the sales representative in conflict between his or her own financial needs and ethical practice. Regardless, you are not responsible for the professional choices of your presenter, but it may be helpful to understand why it happens. This statement sums up the general experience for many individuals who have bought into timeshare ownership under false pretenses. If you own a timeshare in the United States, Canada, Europe, or New Zealand there are many attorneys such as Michael A. Flynn with years of experience helping individuals and groups of individuals get the restitution they deserve from deceptive companies. If, however, your timeshare is in a country without laws that protect the consumer the odds of finding success in any kind of lawsuit are negligible. Determine if your timeshare is located in a country or state with strong consumer protection, if this is true of your timeshare location, consider a class action lawsuit and organize other timeshare owners to group together as a single operative plaintiff. Or venture out on your own and follow a personal litigation process. Unfortunately, many countries do not have consumer supportive legislature in place and it may not be worth the while to form a lawsuit against the resort where your timeshare is. Laws regarding consumer protection vary from country to country; make sure you understand the basic legislation of the country where you have bought your timeshare. The lawsuits against timeshare companies in both Wisconsin and Tennessee provide hope for many individuals who feel they were fraudulently drawn into the purchase of a timeshare. Consumer protection laws are changing to favor individuals who were duped during timeshare presentations into buying something they did not fully agree to. If you decide that a class action lawsuit against a timeshare companies is appropriate for you, then be sure to collaborate with other owners who bought into the same company, who will support the same vision of prosecution as you, who are willing to provide written testimony, and who share a similar story to yours. If you are unable to assemble a group of like-minded timeshare owners, then you may want to follow the same direction as the Overton’s in Tennessee and pursue your own litigation process. If you decide that this is the best option for you, then be prepared to provide a high retainer fee upfront for the attorney who will be representing you. After all is considered you may prefer to hold on to your timeshare, transfer your timeshare to a family member, or donate the timeshare to a charity. Whatever you decide, take time to ensure that your needs are met and remember to weigh in the emotional, financial, and time demands that any lawsuit requires.